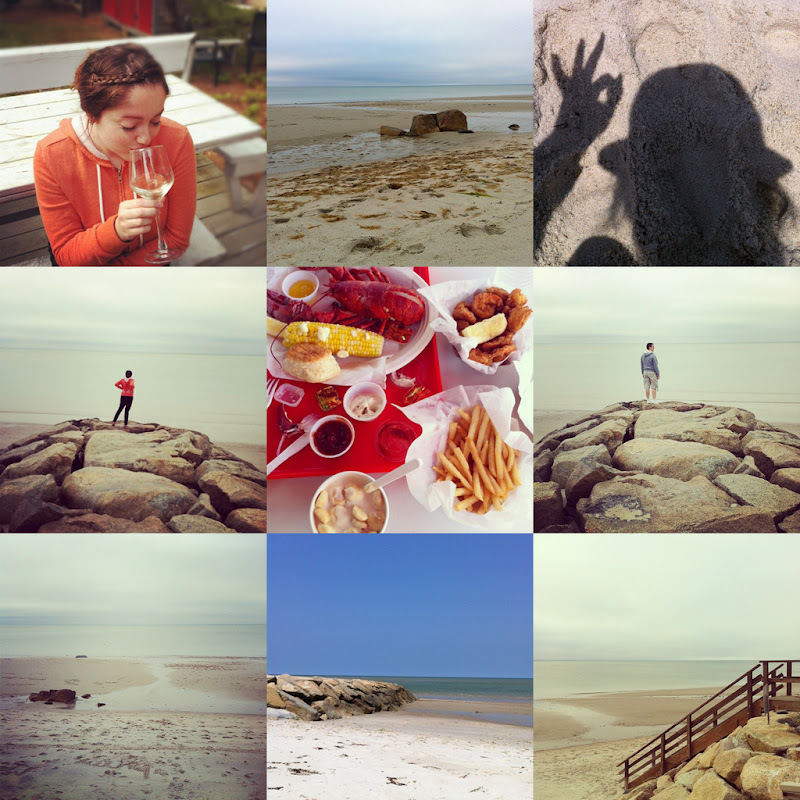 There was buttery lobster, an abundance of wine, tons of beach time...and a couple hundred photos to sort through. I'm still clawing my way out of a vacation-induced haze, so for now, I hope you enjoy this sampling captured with instagram. Now that looks like a weekend adventure that I wouldn't want to go back home from. I love the stillness of the beach when there's really no one around -- and those cute braids in your hair too! Lovely...can't wait to see more! That the weekend trip is very great time and very good working for it. Very great ideas for all these postcards and very well designing looking so very amazing and nice. Lovely postcards and I cannot wait to see more.